A child’s most critical developmental and learning experiences begin at birth and occur in partnership with parents and caregivers. The quality of a child’s early experiences lays either a strong or a shaky foundation for all that follows. In Colorado, there are only enough licensed child care services for about 45 percent of the 256,000 kids birth to age six with working parents. In addition, in 2014 Colorado ranked as the fifth-least affordable state for center-based infant care and for center-based care for a four-year-old. Without strong federal and state support for quality early experiences, many working families struggle to find affordable child care. This can put our most vulnerable children further at risk and creates significant barriers for low-income parents to maintain employment. Senate Bill 16-212 ensures that families don’t have disruptions in eligibility for child care subsidies during a 12-month period. House Bill 16-1227 lowers the barriers for teen parents and domestic violence survivors to access child care by removing the requirement that a parent pursue child support before accessing child care assistance. 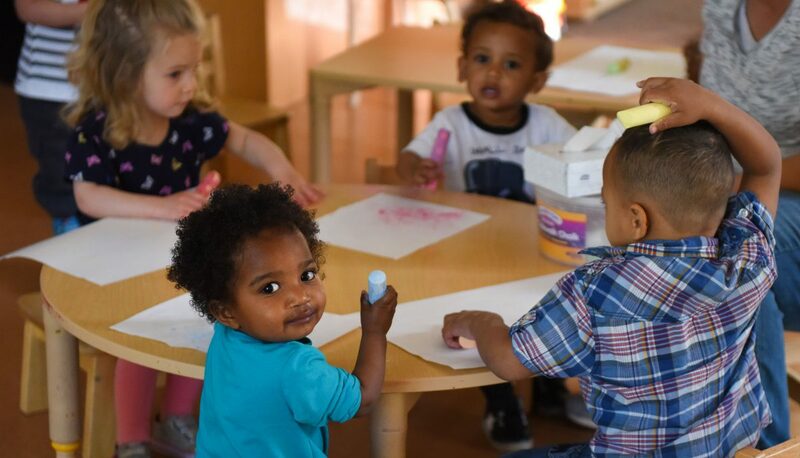 House Bill 14-1317 overhauls Colorado’s Child Care Assistance Program (CCCAP) to expand access, promote quality, and lower barriers for working parents trying to find child care so they can move toward self-sufficiency. The changes included in HB 1317 will be implemented over several years and advance this program as a two-generation approach to supporting children and families. House Bill 13-1291 expands access to infant and toddler care by supporting counties and early childhood councils to invest in supporting more families while also raising the quality of infant and toddler care. Senate Bill 14-003 builds on SB 12-022 to incentivize counties to participate in a two-year pilot program that extends CCCAP subsidies to families who exceed the income eligibility threshold. Families would continue to take on an increased share of the cost of care as their income increases, but this program allows a more gradual transition for families who otherwise face a dramatic loss in benefits, creating a disincentive to increase their income. House Bill 14-1072 extends the Child Care Expense Tax Credit to families making less than $25,000 per year. Prior to the legislation, this tax credit which helps families afford the high cost of child care was not available to Colorado’s lowest income families.